All Dressed Up and So Many Places to Go! 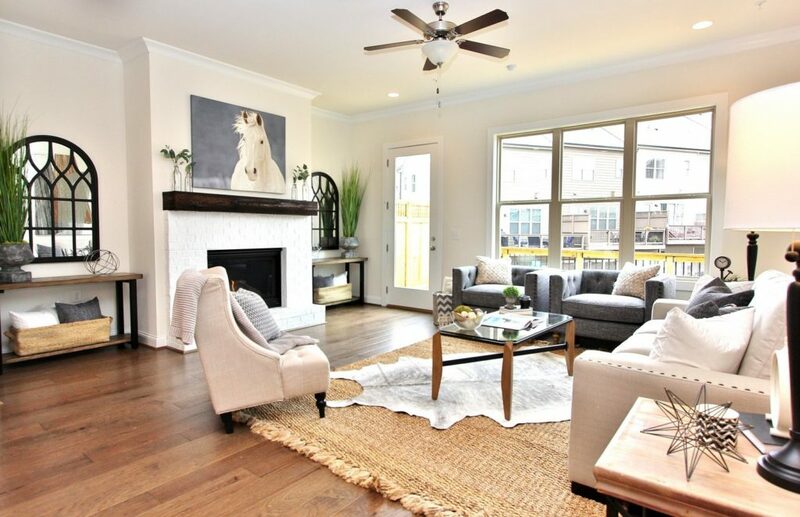 New Model Home at Walkable 28 and Mill is Simply Gorgeous. Traton Homes is excited to announce the opening of our new decorated model home at 28 and Mill, a community of 28 luxury townhomes located directly on the Noonday Creek trail in Downtown Woodstock. 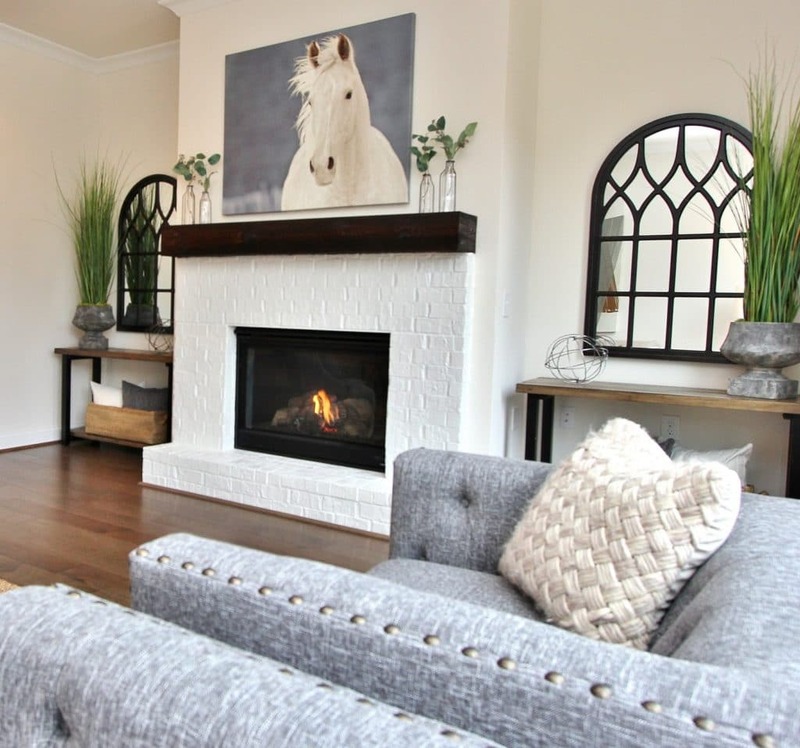 Featuring the Hazelhurst plan, the new model showcases a farmhouse feel with modern finishes including a white painted brick fireplace with cedar beam, and bright white kitchen with farmhouse sink. 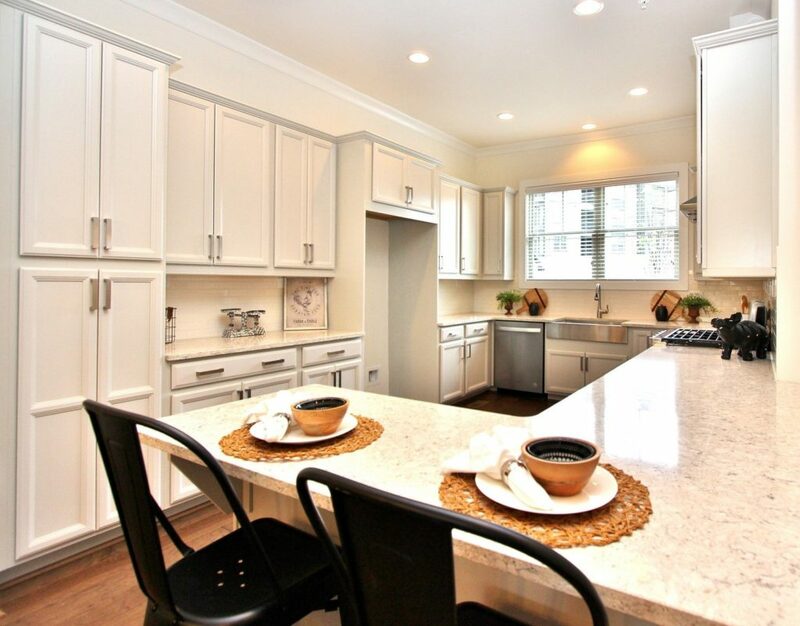 This home includes 3 bedrooms, 3.5 baths, extra storage and a fenced front courtyard. But hurry, only 4 opportunities remain to own a Hazelhurst home, specially priced to close this year from $379,900 to $394,900. Woodstock is one of the fastest growing towns in Cherokee County, Georgia. Money Magazine named Woodstock one of the top 50 places to live in the U.S. and it’s not hard to see why. There’s so much to see and do in this very walkable community. Beginning on Market Street in downtown Woodstock, the Noonday Creek Trail is a 1.43-mile paved trailed that meanders by our Woodstock community, 28 & Mill, on its way to Woodstock Park, an off-leash dog park, and intersecting with the Towne Lake Pass Trail. Both trails are a part of the Greenprints Trail System, a network of trails and open space throughout the Woodstock area. The trail system is great for walking, running, biking, and more. 28 and Mill is a short 2 block walk to Main Street. Residents enjoy concerts and movies in the park, parades, festivals, and annual events like the July 4th Spectacular, Kidsfest on Halloween, and the Christmas Jubilee. There are several entertainment venues in Woodstock. The Elm Street Cultural Arts Village produces live theater, MadLife Stage & Studios hosts live musical performances, and the Northside Hospital-Cherokee Amphitheater at The Park at City Center is home to the city’s annual summer concert series. Also nearby is the Farm. Fresh. Market., Woodstock’s farmers market. It’s located on Market Street, near the Noonday Creek Trailhead, and is open from 8:30 a.m. to noon on Saturdays, April through December. 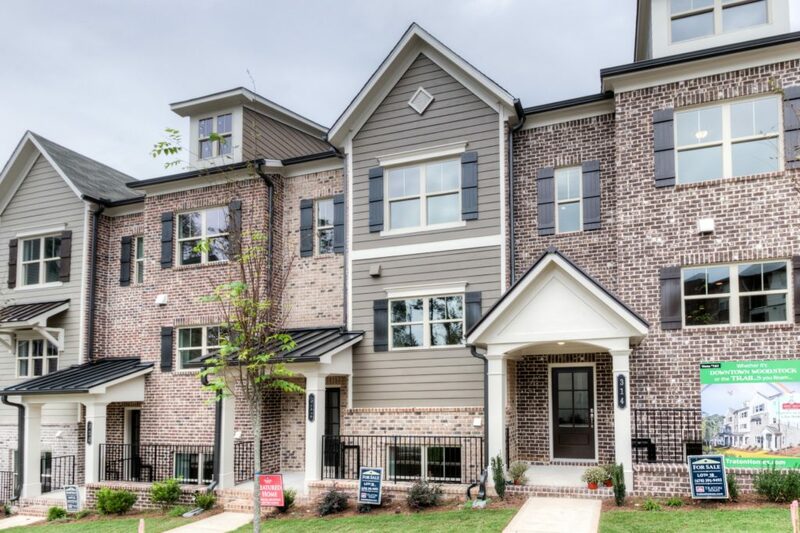 In addition to the stunning homes and proximity to trails and Main Street, 28 and Mill features a fenced community dog park and is just minutes from I-575 and the Outlet Shoppes at Atlanta. For more information, call Beth Jones, New Homes Specialist at 678-391-9493.